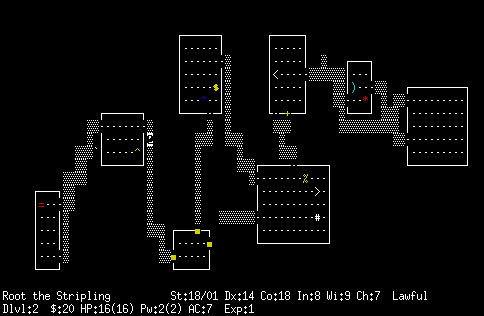 I have just played my best game of Nethack. My best game of all time. I got to level ten and did almost all of the Gnomish Mines but, while backing up to find the Sobokan, I got trapped between a wolf, a cockatrice, and a giant housecat and was ripped to shreds by them all before I could figure out a way to escape. Now that I reflect on it, I realize that I had ways to survive. I could have used my pickaxe to dig a hole in the wall and hide inside it, thus limiting the attacks to a single front. Or I could have started zapping all my unidentified wands. Or I could have quaffed that one golden potion I’d found—there’s a chance it might have been a healing potion or a teleport potion. I could have thrown it at an enemy. It might have exploded and killed them (and me?) or paralyzed or confused them. I could have done a number of things. I was so close, really—eminently ‘ascendable’, as NetHack players say. My female dwarven cavewomen could have eventually won the game if I hadn’t screwed up there. A real Nethack expert would have known what to do. I’m always telling myself that real Nethack experts exist. I honestly believe that there are actual people living in this world—in secrecy, of course, hidden among us under disguise—who have a godly understanding of Nethack and who can actually play it without feeling like a bumbling idiot. I have no evidence for this, but somebody had to write the Nethack Wiki. Those people have to be the geniuses I’m talking about. I mean, they’ve probably actually beaten the game. You beat the game by ‘ascending’ the character: by travelling to the lowest level of the dungeon and taking the Amulet of Yendor from the High Priest of Moloch. You must then travel to the Astral Plane and offer it to your god, who will grant you immortality, ‘ascending’ you to demigodhood. In order to do this, however, you have to play the game for practically an entire lifetime, learn all the tricks and gambits, master a class and a playstyle, figure out the cost/benefit ratios of practically every risk you could take in the entire game (basically, of every action, since doing almost anything in Nethack could potentially get you killed). In a way, it reminds me of The Arhkam Horror, a fantastic board-game based on HP Lovecraft’s writings: newbies at Arkham Horror will do everything, and they’ll have a blast. Experienced players will turn almost every risk down—even the ones likely to result in a benefit. They know something us new players don’t. They’re jaded. When they play, it looks like they’re not having any fun, because they’re practically not playing the game. But then they win it, so we all nod sagely and wonder aloud how they got so good. It also reminds me of people who are really, really good at Civilization IV. They play absurd societies—societies where half the entire culture track gets invented before bronzeworking, societies which leap absurdly from power to power, which manipulate wonders and resources until they’re scarcely similar to real-world civilizations at all. Everything narrows down to the exactness of turns and production-times. The illusion of the game falls apart, and we’re dealing with mister Sid Meyer’s architecture. And it’s fun: that’s what the game is for. You’re supposed to get right on in there with the math and the loopholes and the broken mechanics. It’s satisfying to have that kind of expertise. There isn’t a way to be an expert at something without surrendering a bit of wonder—without leaving the game-world behind. Not all of it, of course, mind you—just a bit. Enough so that we can peel back the story and get our hands on the numbers that make the game work the way it does. For Pokemon, there’s EV training; for Oblivion, there’s strategic leveling; for other games, like Halo, there’s the ethic behind the whole e-sports scene—three shots to the body, one to the head. Do people really die that way? Of course not, but there has to be some kind of death-math in order for us to master death in Halo, right? For Nethack, it’s the encyclopedic understanding of all game systems: people who can ascend probably know the exact probability that sipping from a fountain will release a water demon, and if they defeat the demon and it grants them a wish, they know they should ask for silver or grey blessed greased +2 dragon scale mail. They know that you can guess the identity of an unknown potion by dropping it in a store to see what the shopkeeper offers them—because they’ve memorized the prices of everything already, and they know what they’re looking for. I don’t know if this is the way we played games for expertise back in the day, before everything had its own online fan community and its own wiki, complete with number-crunched tables. But it’s kind of the way we play now: collaborating across the internet to rip the clothes off the game and get a look at its inner framework. It’s not bad; it’s just the way expertise works, I think. Being ‘good’ at a game means, most of the time, being an expert at the numbers, not being an expert at ‘enjoying the atmosphere,’ or ‘liking the plot.’ But it’s not like we’re killing the magic: we’re just swapping one kind for another. There’s something incredibly special about the x-ray vision we develop once we begin to look past the outer surface of a game and focus on its inner mathematics. When we learn to do that, we begin to feel powerful and wise. We enter into a kind of secret compact with the developers: we know the neurotically complex work that went into their game—particularly one as complex as Nethack—and we begin to understand it. We understand the game in a new mental language, almost. At any rate, it’s special. It’s a kind of specialness I rarely feel, though. I’m not the kind of person who gets really really good at games—any games. I think the only one I’ve done this to is Dwarf Fortress, really. I find the process intimidating, and I’m always unwilling to take that mental step out of the gameworld and into the world of the game’s math. 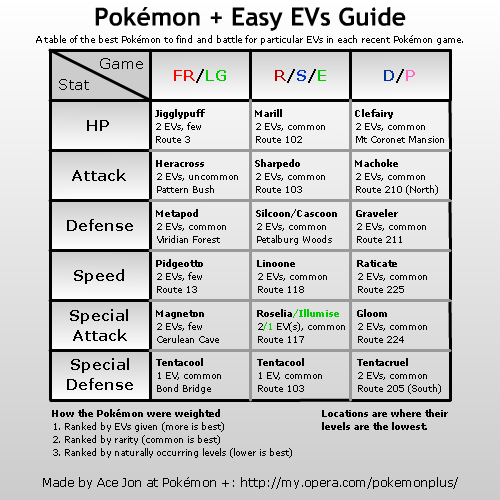 Perhaps this is why I run with such an awfully-balanced Dragon Age team, why it took me a whole week to figure out how to beat the Elite Four for the first time, and why the numbers-game focus of raid-level WoW often strikes me as heartless, even though I know that such players regard it as the point of the game. Expertise is the one kind of game-magic I haven’t yet learned to properly appreciate. Here’s hoping I may, in time. Or I’m never getting anywhere with Nethack. A bit of argument-killing on my own part, though: this binary is pretty much only the way I see things. People like the Magnasanti guy clearly can see both sides of the coin at once.